Traffic tickets for running a red light come in two types: red light ticket camera violations and those in which a law enforcement officer pulls a driver over for running a red light. Fines for either kind of citation often cost several hundred dollars, depending on the jurisdiction, time of day, and other circumstances surrounding the violation. In most states, including California, a red light ticket is considered an infraction, meaning the offender cannot go to jail as a result of the ticket. However, not paying red light tickets can lead to further fines and penalties on your driving record, and multiple unpaid infractions can eventually lead to misdemeanor charges and potential jail time. State Vehicle Codes specify that all vehicles must come to a complete stop at a circular red light. Failing to do so can result in a red light ticket if a police officer or red light camera document the violation. The cost of running a red traffic light varies considerably from one jurisdiction to another, and fines range from as little as $50 to as much as $500. Also, running a red light adds points to your driving record at the DMV. Most red light violations add one point, but if a driver has not had another conviction in a specified number of months, the point can be removed if the driver attends traffic school. Attending traffic school costs more than simply paying the red light ticket. In most cases, the courthouse charges additional administrative costs to drivers who attend traffic school, and the school also charges a fee for the class and for filing a certificate of completion with the courthouse and DMV, once the driver has completed the course. If you ignore red light tickets and fines, this information will reach the DMV, and they will suspend your driver’s license, potentially leading to more serious misdemeanor charges for driving on a suspended license. Attending traffic school, if you are eligible, keeps points off your driving record, and keeps your insurance rates from skyrocketing for years after a moving violation. Paying a traffic ticket is simple. In most jurisdictions, you can mail a check or money order to the court address printed on the citation, visit the courthouse website and pay online, or make a payment over the phone. Credit cards, bank cards, checks, and money orders are usually all acceptable as payment. If you want to pay in cash, you will need to make an in-person visit to the courthouse issuing the ticket. If you cannot pay the entire amount at once, it is often possible to arrange a payment schedule. Visit or call the courthouse to find out about doing this. 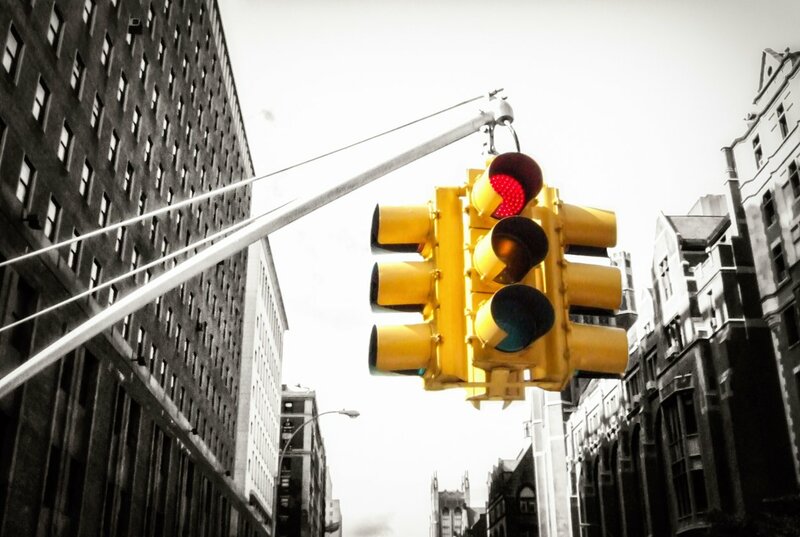 Learn about NYC traffic tickets, speeding tickets, and other traffic violations.